In 2020, Disney will be releasing their live-action adaptation of their animated classic, Mulan. With the film now in production, the studio has released the first image of Liu Yifei in the title role. 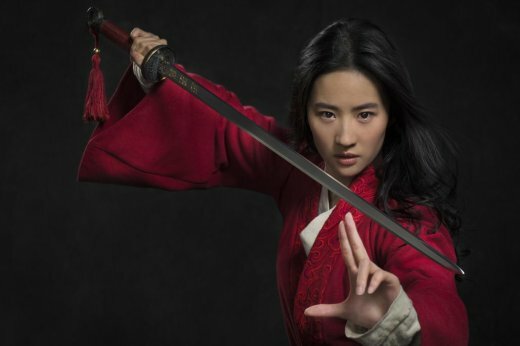 Yifei, who has been in The Forbidden Kingdom and ABC’s Once Upon a Time is joined by a cast that includes Star Wars: Rogue One’s Donnie Yen, Crouching Tiger, Hidden Dragon: Sword of Destiny’s Jason Scott Lee, The Meg’s Yoson An, Pitch Perfect’s Utkarsh Ambudkar, Marco Polo’s Ron Yuan, Arrival’s Tzi Ma, Star Trek: Deep Space Nine’s Rosalind Chao, Crouching Tiger, Hidden Dragon’s Cheng Pei-Pei, Nelson Lee; Chum Ehelepola, Gong Li, and Jet Li.